Apollod. 1.9.1-1.9.2: Nephele, Phrixus, and Helle. 1.9.16-1.9.28: The Argonautic expedition; Jason and Medea. 3.15.2: The Boreads, Zetes and Calaïs. E 1.5-1.6: Medea, Aegeus, and Theseus. Aristot. Pol. 1284a: A reason why the Argonauts left Heracles behind. Rh. 1400b: The Medea of Carcinus. Diod. 14.30.3: The place where the Argo arrived in Colochis. Hes. Th. 956-962: Helius, Aeëtes, and Medea. Hdt. 4.145.2-4.145.3: Descendants of the Minyae. 4.179.1-4.179.3: Jason and the Argo. 7.62.1: Medea and the Medes. 7.193.2: Heracles left behind by the Argonauts. 7.197.1-7.197.3: Phrixus and his descendants. Hom. Il. 7.467-475: Euvenus, son of Jason. Od. 12.59-12.72: The Planctae and the Argo. Hyg. 2: Ino’s plot to kill Phrixus and Helle. 3: Phrixus, Helle, and the Golden Fleece. 5: Athamas kills his son. 12: Pelias orders Jason to obtain the Golden Fleece. 13: Jason carries Hera across the river. 14: The Catalogue of the Argonauts. 18: Idmon killed by boar. 19: Phineus and the Harpies. 22: The Tasks and Medea. 24: The daughters of Pelias are tricked into killing their father. 25: Medea, Creon, and Creusa. Ov. Her. 6: Hypsipyle to Jason. Her. 12: Medea to Jason. Met. 4.416-562: Athamas and Ino. Met. 7.1-403: Jason and the Argonauts. Paus. 1.44.7-1.44.8: Ino and Melicertes. 5.17.9-5.17.10: The games of Pelias on the chest of Cypselus. 8.11.1-8.11.3: Medea and the daughters of Pelias. Pind. P. 4: Medea, Jason, and the Argonauts. Plut. Thes. 12.1-12.3: Aegeus, Medea, and Theseus. 11.2.17-11.2.18: Temple of Leucothea and oracle of Phrixus. 11.4.8: Itinerary of the Argonauts. 11.13.10: The influence of Medea and Jason on the Medes. 11.14.12-11.14.14: Jason and Medea in Armenia. 12.4.3: Hylas, Heracles, and Cius. Xen. Anab. 3.4.11: Medea wife of Astyages, the last king of Media. Anderson, Maxwell (1888–1959). The Wingless Victory. Play. Anouilh, Jean (1910–1987). Medea. Play. Graves, Robert (1895–1985). Hercules, My Shipmate. Novel. Jeffers, Robinson (1887–1962). Medea. Play. Lawrence, D. H. (1885–1930). “The Argonauts.” Poem. Apollonius Rhodius. Jason and the Golden Fleece, ed. Richard Hunter. New York: Oxford University Press, 2009. A prose translation with commentary of the Argonautica. Bloom, Harold. Eurpides. New York: Chelsea House, 2003. Clauss, James J., and Johnston, Sara Iles, eds. Medea: Essays on Medea in Myth, Literature, Philosophy, and Art. Princeton: Princeton University Press, 1997. Studies by various authors of the transformations of the Medea legend by writers and artists in different media. Griffiths, Emma. Medea. New York: Routledge, 2005. A comprehensive study of the legend and its history. Pucci, Pietro. The Violence of Pity in Euripides; Medea. Ithaca: Cornell University Press, 1980. Romey, K. M. “Land of the Golden Fleece,” Archaeology 54.2 (2001). 28-31. Barber, Samuel (1910–1981). Medea. Orchestral suite from the original score for the ballet Cave of the Heart. New Zealand Symphony Orchestra, cond. Schenck. Koch 3-7010-2. Also Eastman-Rochester Orchestra, cond. Hanson. Mercury 432-016-2. Medea’s Meditation and Dance of Vengeance is another orchestral piece derived from the ballet. London Symphony Orchestra, cond. Schenck. Musical Heritage Society MHS 419503 (original Academy Sound & Vision Recording ASV CDDCA-534, distr. Harmonia Mundi). The original version entitled Cave of the Heart. Music for Martha Graham. The Atlantic Sinfonietta, cond. Schenck. Koch 3-7019-2. See Videos. Benda, Jirí Antonín (1722–1795). Medea. Melodrama (spoken text in German). Schell, Uray, et al. Prague Chamber Orchestra, cond. Christian Benda. Naxos 8.553346. Blitzstein, Marc (1905–1964). The Harpies. Rees et al. Adirondack Chamber Orchestra, cond. Smith. Premiere Recordings PRCD 1009. An operatic treatment of the Argonauts’ encounter with Phineus and the Harpies that satirizes opera, employs “pop” music, and allegorizes criticism of the period, the Great Depression. Caldara, Antonio (ca. 1670–1736). Medea in Corinto. Cantata for alto solo and orchestra. Lesne. Il Seminario Musicale. Virgin Classics VC 7 91479-2. Cavalli, Francesco (ca. 1670–1736). Giasone. Opera. Dubosc et al. Concerto vocale, cond. Jacobs. Harmonia Mundi HMC-90-1282/84. Excerpts, Doro et al. Mediterraneo Concento, cond. Vartolo. Naxos 8.557746. An imaginative tale about Jason and Medea in Colchis. Includes Egisto, Didone, and Calisto. Charpentier, Marc-Antoine (1643–1704). Médée. Opera. Hunt et al. Les Arts Florissants, cond. Christie. Erato 4509-96558-2. Cherubini, Luigi (1760–1842). Medea. A superb operatic treatment, and a wonderful vehicle for great singing-actresses such as Maria Callas and Magda Olivero. Callas et al. Orchestra and Chorus of La Scala Opera House, cond. Serafin. EMI CMS 7 63625 2; also on Denon C37-7336/37. Olivero et al., Orchestra of the Civic Opera of Dallas, cond. Rescigno. Other more recent recordings in better sound (not necessarily better performance) are available. Clérambault, Louis-Nicolas (1676–1749). Médée. Cantata. Baird. American Baroque, cond. Schuktz. Koch, International Classics 3-7096-2 H1. Includes Montéclair, La Mort de Didon and Pan et Sirinx. Mayr, Giovanni Simone (1763–1845). Medea in Corinto. Opera. Eaglen et al. Philharmonia Orchestra, cond. Parry. Opera Rara ORC 11. Galvany, Cathcart, et al. Clarion Concerts Orchestra, cond. Jenkins. Vanguard Classics 08 5037 72. Pacini, Giovanni (1796–1867). Medea. Opera. Omilian et al. Orchestra Sinfonica di Savona, cond. Bonynge. Arkadia AK 146.2. Telemann, Georg Philipp (1681–1767). Ino. Cantata. Text by Karl Wilhelm Ramler after Ovid’s Metamorphoses. Teldec 9031-77621-2. The myth of Ino, Athamas, and Melicertes. Alexander. Concentus Musicus Wien, cond. Harnoncourt. Thomson, Virgil (1896–1989). Seven Choruses from the Medea of Euripides, for female chorus and percussion. Gregg Smith Singers, cond. Gregg Smith. Albany Records. ALB 1166. 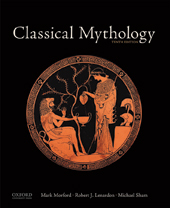 Ancient Greek Heroes: Myth and Modern Vision. Documentary two-part series offers interpretations of Jason and Odysseus, with parallels drawn with contemporary Western society. Original BBCW broadcast title: Ancient Greek Heroes. 2-part series: Films for the Humanities. In Search of Myths and Heroes. PBS Home Video. Michael Wood (who does not meet the high standard that he set in his Search for the Trojan War) searches for the historical fact behind the legends of the Queen of Sheba, King Arthur, Shangri-La, and Jason and the Golden Fleece. Jason and the Argonauts. Justly admired movie, particularly for its special effects by Ray Harryhausen, but marred by the performance of a Medea (Nancy Kovack) weakened by the screenplay. Starring Todd Armstrong and directed by Don Chaffey. Columbia Pictures. Jason and the Argonauts. TV movie in which the role of Medea is by no means the greatest weakness. The Jason (Jason London) and almost the whole cast exhibit a blank lethargy that is oppressive. The Argonauts become a grubby and motley crew and include one woman, Atalanta, of course in love with Jason. The vacuous and limp direction is by Nick Willing, who cannot even control incorrect and inconsistent pronunciation of names (a failing far too common generally today). The highlight or lowlight of this travesty occurs when Orpheus gives the name of his wife in Italian (shades of Gluck)! Hallmark. Jason and the Argonauts. Documentary. Jason’s quest for the Golden Fleece is studied to illuminate male and female roles in contemporary society. A BBCW Production. Films for the Humanities. The Giants of Thessaly (The Argonauts). Film epic available from Alpha Video and also Sinister Cinema. The Giants of Thessaly (The Argonauts). Film (sword and sandal epic). Roland Carey, Ziva Rodann, et al. Directed by Riccardo Freda. Alpha Video. Advertised as having a better than average musical score. The Jason Voyage: The Quest for the Golden Fleece. Films for the Humanities AGU4293. A contemporary retracing of the voyage of the Argo in a replica of a Bronze Age 20-oar galley. Medea. Ballet. Choreography by Georgiv Aleksidze. Goderdzishvili et al. Music by Revaz Gabichadze. Orchestra and Ballet Troupe Tbilisi Z. Paliashvili Opera and Ballet State theater (Republic of Georgia), cond. Jgenti. Kultur. Medea. Opera by Luigi Cherubini. Antonacci and Filianoti. Orchestra del Teatro Regio, cond. Pidò. Hardy. Medea. TV movie, starring Zoe Caldwell, Mitchell (or Mitch) Ryan, and Judith Anderson as the nurse. Directed by Mark Cullingham. Films for the Humanities. Also Insight Media. Medea. A dark and disturbing adaptation of Euripides’ play, directed by Lars von Tier, after a script by Carl-Theodor Dreyer. Danish with English subtitles. Facets Video. Medea. A powerful film written and directed by Pier Paolo Pasolini, not to be missed for the dramatic (nonsinging) performance of the renowned Maria Callas. In Italian with English subtitles. Vanguard Cinema. Medea. A production of Euripides’ play presented by Insight Media. Cave of the Heart. Ballet. Martha Graham, choreographer, music by Samuel Barber, with designs by Isamu Noguchi. Original title, Serpent Heart. Barber notes that neither he nor Graham wished to make a literal use of the legend; the mythical Medea and Jason “served rather to project psychological states of jealousy and vengeance which are timeless.” Martha Graham: Three Contemporary Classics (includes also Errand into the Maze). VAI Video Arts International 69030. Also on Martha Graham Dance Company. Dance in America. A Dream of Passion. A harrowing modern version of Medea, which includes scenes from Euripides. Starring Melina Mercouri and Ellen Burstyn and written and directed by Jules Dassin. A great film. Avco Embassy Pictures Release. Charter Entertainment 90179.